What is the most sensible way to think about Sub-Saharan Africa? Perhaps by region? NW & West Africa are different from East Africa and Southern Africa is different again. There is ‘Big Gas’ – LNG scale - offshore Mocambique and Tanzania, and now offshore Senegal and Mauritania, and in Nigeria. Will any of it be able to compete with US (Shale Gas) or Australian LNG? There is also Gas onshore in Tanzania, there is some offshore Namibia, perhaps more suitable for in-country gas-to-power.…..
As to Oil, there is obviously major offshore production from Ghana, Nigeria, Equatorial Guinea, Gabon, Angola. And onshore there are significant discoveries in the East African rift with Uganda and Kenya leading the way; and perhaps there is a significant oil play to be made along the coast of Kenya – Tanzania – Mocambique……and, some would assert, offshore South Africa. 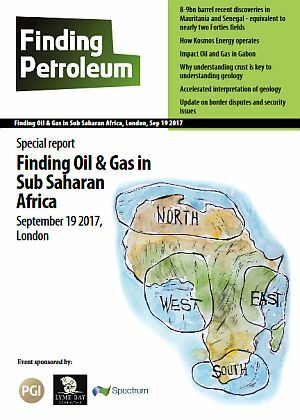 In reality, then, Sub-Saharan Africa is quite diverse petroleum-wise; which is one reason it has been seen as a good place to be. In each province, we should consider Regional Politics/Security; Petroleum Geology (especially new insights); new data; opportunities; and which companies are best place to deliver, whether that be LNG, offshore oil production or regional energy supply; in particular where are the opportunities for UK companies? Historically, in West Africa, upstream E ad P has been dominated by the Tertiary hydrocarbon provinces of the Niger and Congo deltas on/offshore Nigeria and Angola / Congo, together with the intervening onshore / shallow water Cretaceous plays of the West Africa Salt Basin. These provinces were for many years, and indeed still are to some extent, the preserve of the majors, super - majors and NOC's, for reasons initially related to colonial heritage and G2G relationships post - independence, and subsequently, with the advent of deepwater, due to their strong financial and operational capability. For decades, however, from the 1970's through to the 1990's, significant exploration drilling, initially by the large IOC's, and later by the independents who had limited access to the proven, established hydrocarbon provinces, was undertaken in an attempt to open frontier / emerging basins along the Atlantic seaboard of West Africa north of the equator. Evidence of working petroleum systems was widespread, and technical success was common. Nevertheless, no new, commercially - significant oil and gas basins were unlocked. Since the late 1990's, many companies drilled numerous dry holes and made sub - commercial discoveries, destroying significant shareholder value, damaging corporate reputations, and losing their license to explore, often in failed attempts to replicate the success of others. In the meantime, Kosmos and its predecessor company, Triton Energy, have been instrumental in delivering serial exploration success across this geography over last twenty years, playing a key role in opening each of the three, new deepwater Cretaceous basins unlocked in the region, including the Rio Muni, Tano and MSGBC basins offshore Equatorial Guinea, Ghana and Mauritania / Senegal respectively, and discovering more than 2BBO and over 50TCF in the process. The drivers of this serial track record of exploration success, including the creative thinking and contrarian ideas and concepts, as well as the counter - cyclical strategies and initiatives will be discussed, together with the new exploration themes and opportunities which may unlock the significant remaining hydrocarbon potential and lead to further commercial oil and gas finds in the future. Can the rewards be high in Gabon's "wild west" frontier? Phil brings over 30 years upstream oil and gas technical and business leadership experience to Impact. He has spent over 15 years with Enterprise Oil, where he took leading roles in high impact exploration and production projects. He has subsiquently built and sold three successful start-up businesses, providing significant shareholder returns and has worked with a number of Africa/Mediterranean focussed junior oil companies, including Grove Petroleum and Black Star Petroleum. Phil is a fellow at the Geological Society and holds an MBA MCS in petroleum geology. Impact Oil and Gas was founded in 2009 by experienced geoscientists who subsequently targeted a number of areas offshore South Africa with very large hydrocarbon potential. identify all the structural and stratigraphic potential in your data. Prospectivity is often overlooked due to resource constraints or when outside a study focus. Our DRS maps every seismic reflector to deliver a highly detailed understanding of your data.